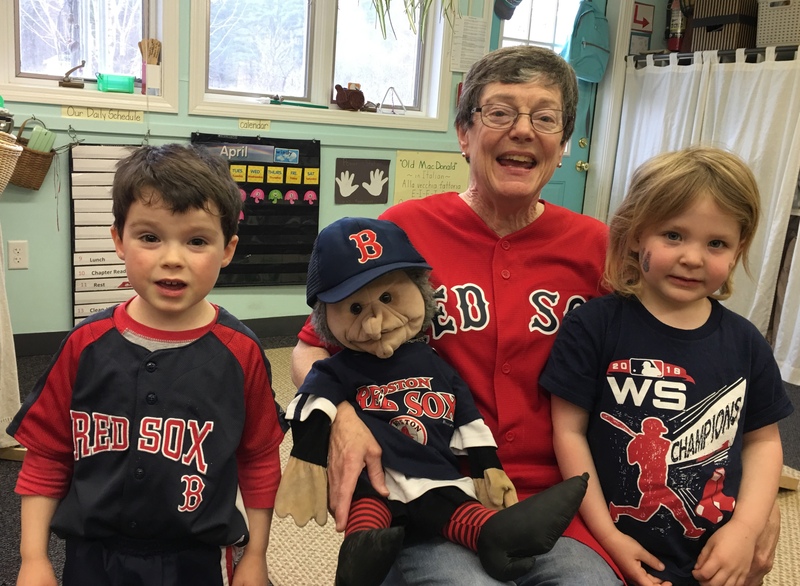 This entry was posted in Expressing words and feelings, Gloria, joy, Love, preschool, young children and tagged Baseball home opener, Boston Red Sox, Red Sox. Bookmark the permalink. 22 Responses to Go Red Sox! Gloria was really decked out today. It was such fun! Sounds like it. Good old Red Sox. An all time great team 🙂 … although not today 🙁. With Gloria too! You’re all looking good ready to root for the Home team! Yes, baseball. Gloria had a grand time. Best to you, Pete. Great to see Red Sox fans despite their shaky start this year!! I have confidence they will bounce back! Thanks, GP. I think we all thought once they were back home things would be like they used to be. They have the day off today, so fingers crossed for Friday. Have those kids cheer louder so the Sox can hear them. They need some encouragement! She is the best! Many thanks, Michael.